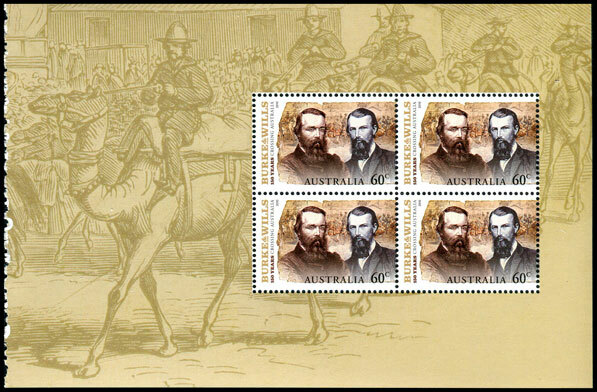 In 1860-61 Robert O'Hara Burke and William John Wills led an expedition of 19 men with the intention of crossing Australia from Melbourne in the south to the Gulf of Carpentaria in the north, a distance of around 3,250 kilometres. At that time most of the inland of Australia had not been explored by non-indigenous people and was completely unknown to the European settlers. The south-north leg of the expedition was successfully completed, but on the return leg both Burke and Wills died, along with seven other men. Only one man, John King, travelled the entire expedition and returned alive to Melbourne. 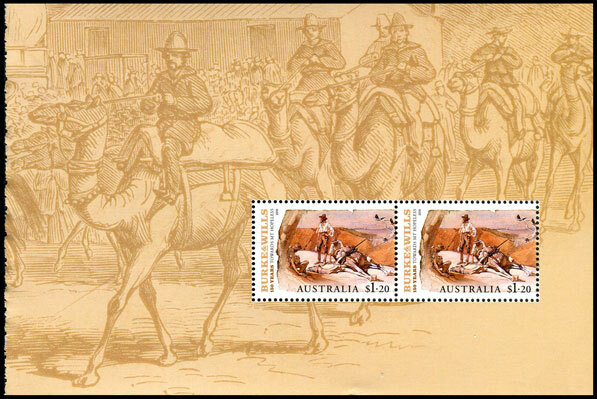 Australia Post previously commemorated Burke and Wills on a 30c stamp in 1983. 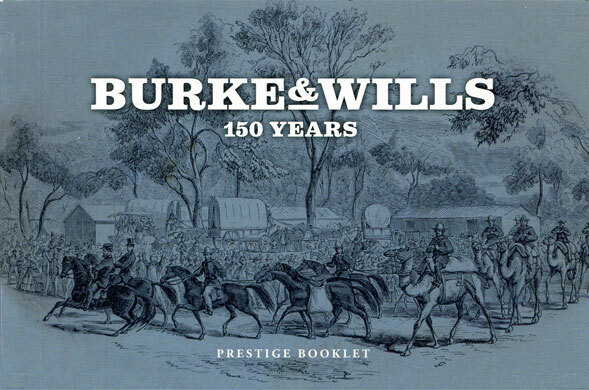 The issue consists of two se-tenant pairs showing Burke and Wills, along with illustrations showing scenes from the expedition. 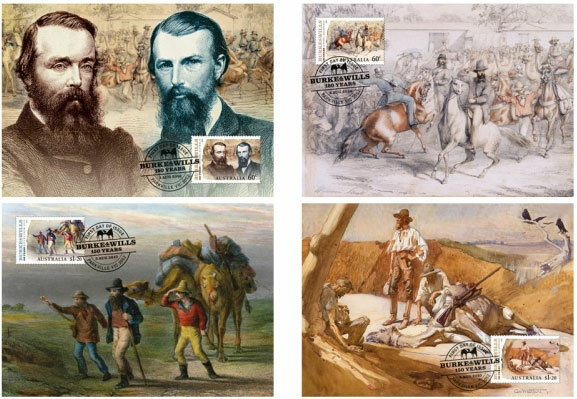 The sheet stamps will be issued in two se-tenant pairs showing Burke and Wills, along with illustrations showing scenes from the expedition. 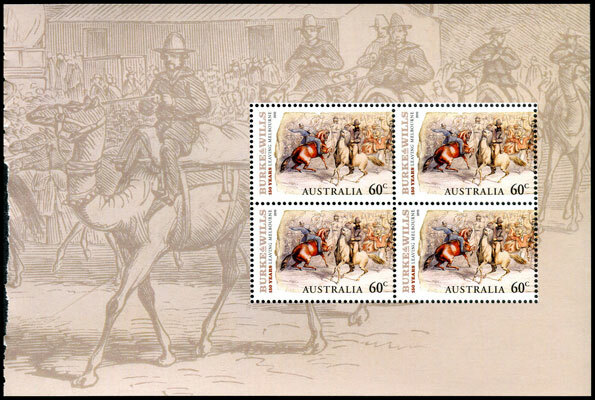 The four stamps will also be issued in prestige booklets containing four unique layouts. 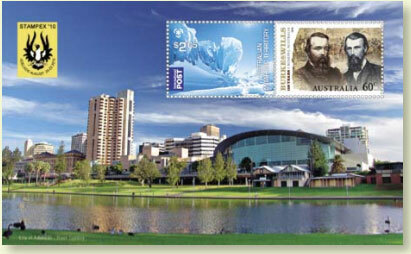 The 60c Crossing Australia stamp will also be issued in the Adelaide Stampex sheet on 20 August. Until the sheet is released it is not known if there are any differences. 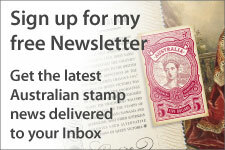 The four stamps will also be released in a prestige booklet. Each pane features the same painting in a different colour. The above four panes will be included in the prestige booklet. 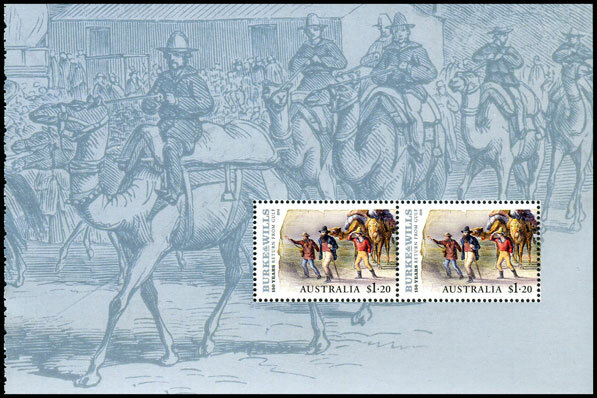 An imperforate version of the Burke and Wills booklet will be issued for Adelaide Stampex. It is expected that the booklet will be overprinted with the show logo on the cover. 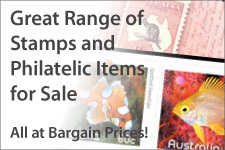 The two 60c stamps were also issued in self-adhesive coils of 200 stamps. The Stamp Bulletin lists both B100 paper (used for booklets) and B90 paper (used for coils) for the self-adhesive stamps. 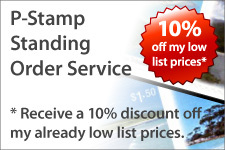 Australia Post has advised that B100 paper was included by mistake. There are no self-adhesive booklets being issued with this issue. The four maximum cards featured enlargements of the paintings shown on the stamps.